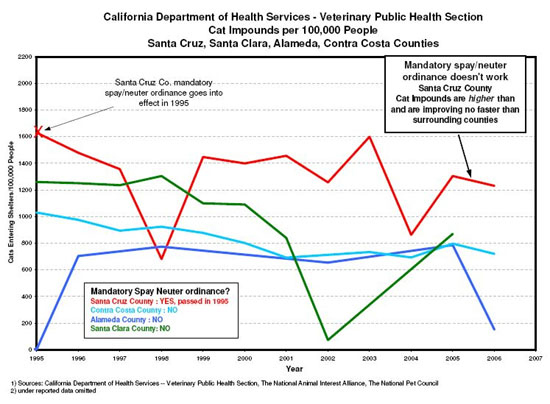 The following set of graphs are designed to assist in understanding pet population dynamics in California. 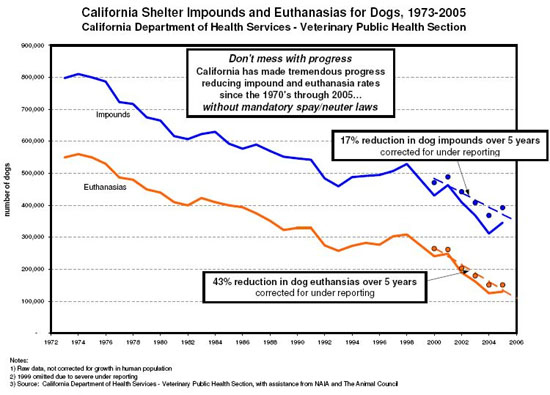 Special attention has been given to determine how California's pet owners and animal welfare workers are doing in reducing the number of shelter dog and cat impounds and euthanasias each year. 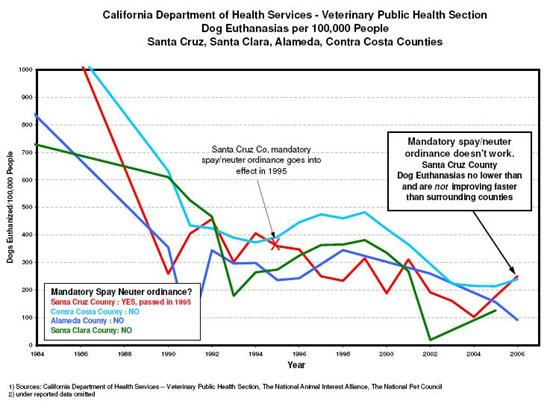 New graphs will be added as new information becomes available. 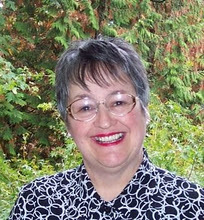 NAIA gives special thanks to Laura Sanborn at www.saveourdogs.net and Angie Niles for their tremendous contributions to this effort. 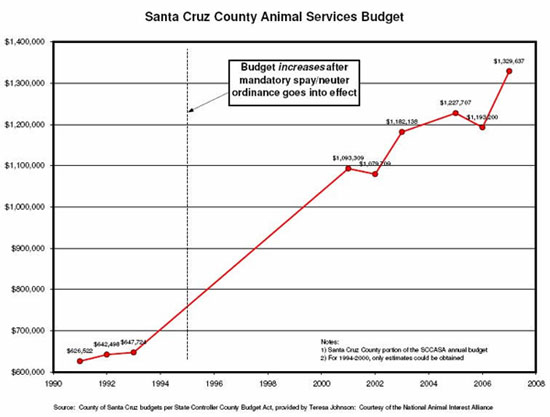 Permission to use these graphs is granted as long as the National Animal Interest Alliance is credited as the source. 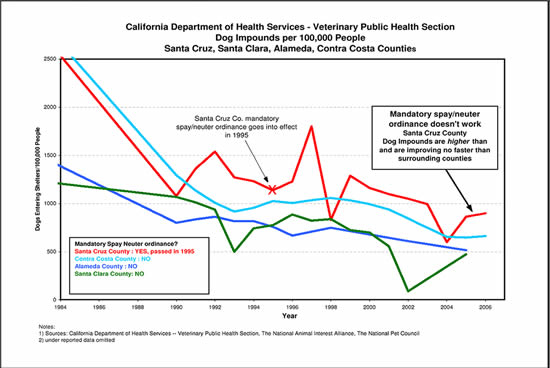 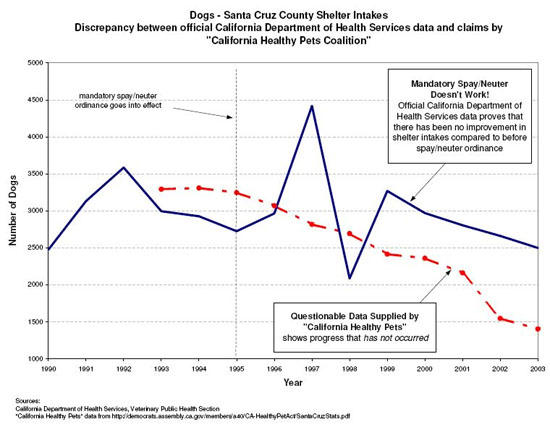 Graph comparing shelter dog intake data submitted by the California Healthy Pet's Coalition with data submitted to the California Department of Health by Santa Cruz County as mandated by law. 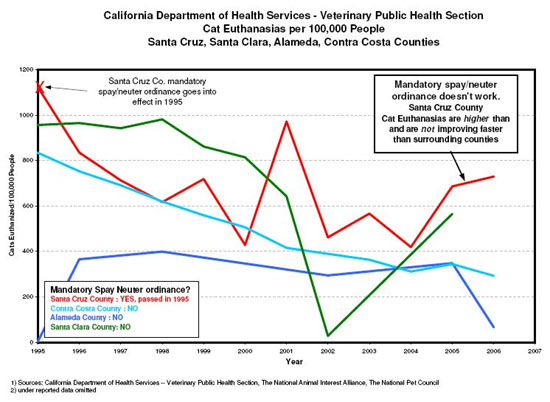 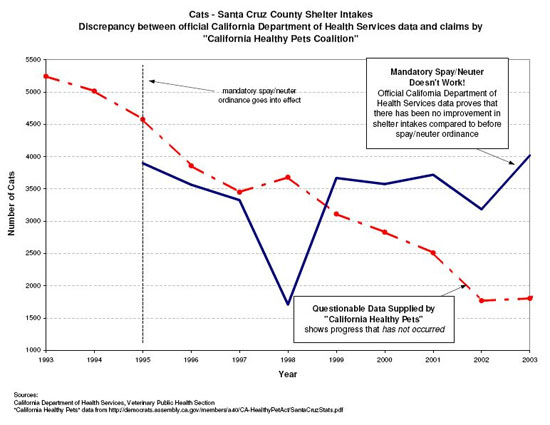 Graph comparing shelter cat intake data submitted by the California Healthy Pet's Coalition with data submitted to the California Department of Health by Santa Cruz County as mandated by law.